It has been a long, long time, but it is going to be alright. This line fits Peter Gabriel’s new album quite well. “Alright” is quite an understatement, though. US does not only make up for Gabriel’s long years of “absence” (apart from the Passion soundtrack and the Shaking The Tree compilation), it takes the listener into an idiosyncratic world of strange sounds. It would be more appropriate to call the album a masterpiece. Peter has lived through a lot of things in the six years between So and Us. There are the ongoing projects into which he has invested much energy: The idea of the RealWorld Experience Park, the Human Rights Now! Tour and the participation in other charity concerts. Then there is the human rights organization WITNESS he helped found and that provides video cameras and other material to enable activists to record human rights violations. This way no one can claim that nothing happened or that they had not seem anything. Perpetrators can be brought to justice and proven guilty with the material, deterring others from similar criminal acts. Besides these public projects there was lots of trouble in Peter Gabriel’s personal life. First he divorced his wife Jill, then the relationships with Rosanna Arquette and later with Sinéad O’Connor broke up. He underwent group therapy to find out more about himself and to heal. This experience affects the whole album and it is therefore hardly surprising that Peter describes the outcome as a “me-type record”. Indeed, the lyrics allow deep insights into his soul, reflecting his bare emotions. It was important to him to write this album. There have been musical changes, too. 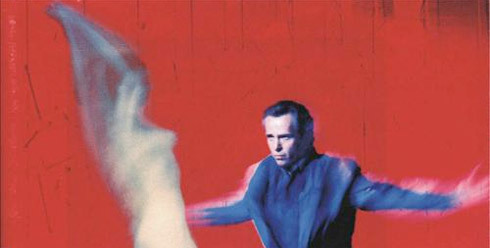 Passion (1989) pointed out the direction into which he feels himself drawn. Meeting and working with musicians from all over the world has had an increasing influence on his own work. For the new album he has enlisted musicians who have already played on his previous records and who make up his core live band, familiar companions like Tony Levin (bass), David Rhodes (guitar) and Manu Katche (drums). Other famous artists came in to work, too: Brian Eno, Shankar, Sinéad O’Connor and Peter Hamill, and others from Argentina, Egypt, Senegal, Russia, Kenya and Turkey who are not yet as well-known. Daniel Lanois co-produced the album, and it is evident that he put the final touches on the raw product after 18 months of recording. The outcome is a mixture of sophisticated sound structures and peculiar instruments. 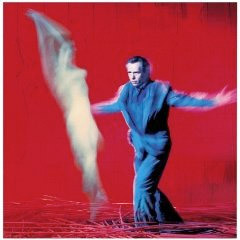 Peter Gabriel opens the doors to his world. Come Talk To Me is about an experience with one of his daughters who accused him of not talking to her anymore in the wake of his divorce. Peter’s voice mixes well with that of Sinéad O’Connor. Exotic instruments like the doudouk make for a well-rounded arrangement. Peter longs to be loved in this song. More instruments join in as the song progesses and structure in such a way that it ends in a finale that sounds familiar. Perhaps this is an expression of the release at the end of the painful search. … could be heard on the soundtrack of the Wim Wender film Until The End Of The World. The chorus reveals that the film version is quite different from the album track though the lyrics are the same. Blood Of Eden is a touching duet between Sinéad O’Connor and Peter. Their voices are joined a lot of the time, and this is one of the intentions of the song. The garden of Eden was picked because Peter feels that that was the only time and place where man and woman were a unity. And then: Steam. Sledgehammer proved that Peter enjoys funky pieces, and indeed he regards Steam a “son” of the 1986 mega-hit. This catchy song will likely be released as a single. Interestingly, the Digging In The Dirt single is backed with Quiet Steam – a quiet, very different version with a mood that resembles Gabriel’s early albums. Quiet Steam also proves that there are many different versions of the songs on the album. Let us hope that many of them will be released on B-sides. Washing Of The Water is one of the most personal songs on the whole record. Peter really opens up and sings from his soul about fears. It is very moving how he lays bare his feelings. The vocals get under your skin and you can only hope that the water does help Peter heal. This is one of the highlights of the album. Digging In The Dirt was the first single to be released from the album. A project about death rows inspired Peter to bring out the evil in himself. “Like a dog digging deeper and deeper, layer after layer of dirt is removed until the only thing that remains is the devil in all of us.” This is how Peter describes the process that is used as a device to heal one’s psyche. This song is a proclamation to humanity to help end sorrow and pain and make the world a better place. The second half consists of an instrumental that fuses the sound of various instruments into a fascinating mood. The next song was inspired by child psychologist Bruno Bettelheim’s book The Uses Of Enchantment. This catchy tune that could well become a hit examines the fairytale of the Frog King for psychological statements. The result is an amusing uptempo song that points out parallels between fairytales and sexuality. Motto: Everything is possible if you believe in it strongly enough. "US is one of us, two of us and all of us"
The collaboration between Steve Hackett and Chris Squire is finally due for release. The SQUACKETT album comes in various formats, this includes a bonus-DVD with 5.1 Mix. New album as special edition with bonus tracks and bonus dvd.